Frank Pearl Ellis was born March 14, 1898 in Des Moines, Iowa. His father, Frank Reason Ellis, was born in 1874 in Iowa. His mother, Helena "Lena" Maude Rogers, was born in 1876 in Iowa. His parents married in 1897 and had only one child. They lived at 122 Fifth Street in Des Moines, IA. The father was painter of horse-drawn carriages. By 1910 the family had moved to 916 Walnut Street in Des Moines, where the father worked as a driver of a delivery wagon. In 1915 he completed the eighth grade in public school in Des Moines, IA. 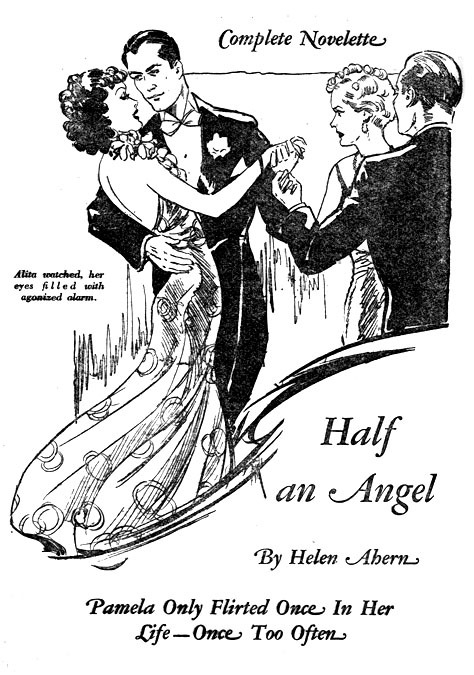 After that he entered the work force as a clerk at the Inter-Urban News Service, which supplied advertising copy, images, illustrations and lettering for newspapers. On May 18, 1918, during the Great War, Frank Pearl Ellis entered military service in the Navy. He was honorably discharged on February 15, 1919. Frank Ellis moved to Chicago, Illinois, where he attended night classes at the Art Institute of Chicago and worked as a freelance artist. He lived at 224 East Ontario Street. 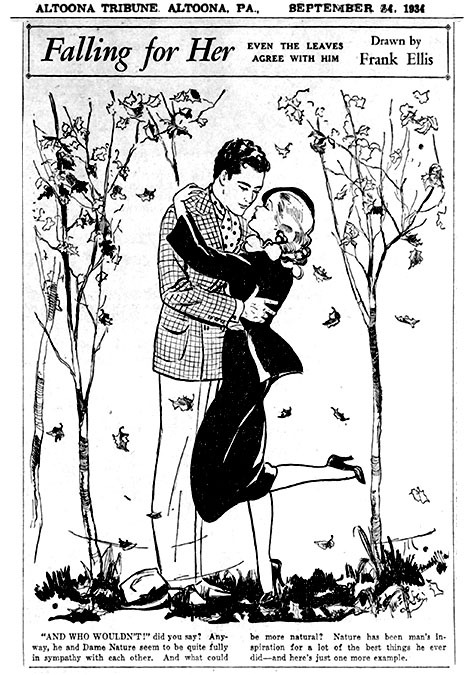 In 1920 Frank Ellis was listed as a "Staff Artist at a Commercial Artist Company" in Chicago. At that time several of the nation's largest advertising agencies were in Chicago, where they employed hundreds of staff artists to produce imagery for posters, pamphlets, newspapers, magazines, and books. In 1923 Frank Ellis returned to Des Moines, IA, and lived at home with his parents at 658 26th Street. He rented a professional studio in suite #272 of the Fine Arts Building at 11th Street and Grand Avenue. 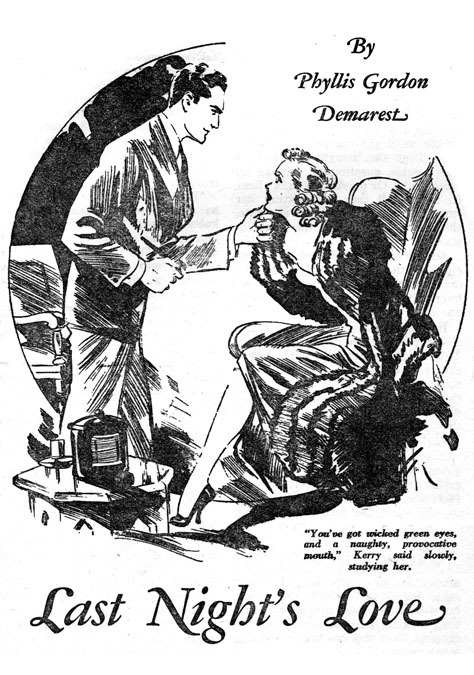 In 1925 Frank Ellis worked as a staff artist on The Des Moines Register newspaper. 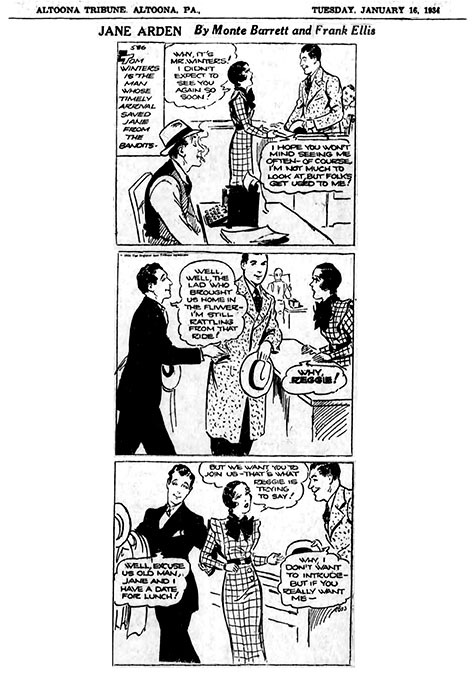 In 1928 he joined in partnership with the newspaper columnist Percy Montgomery "Monte" Barrett (1897-1949) to create the comic strip "Jane Arden," a clever, beautiful, adventurous, and independent young newspaper reporter. 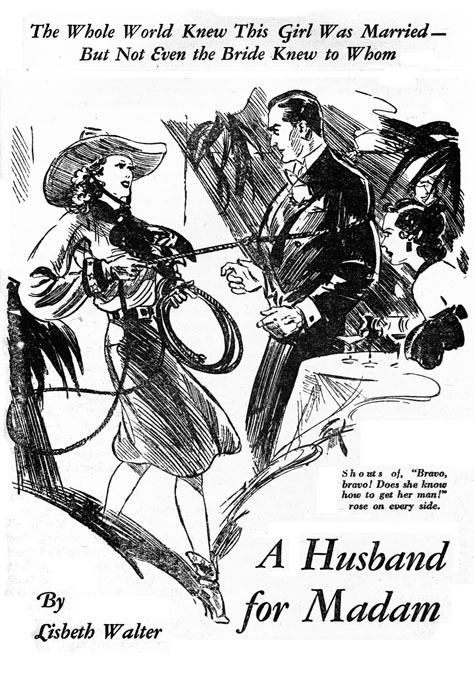 In 1929 "Jane Arden" was distributed nationwide by the Tribune Syndicate. 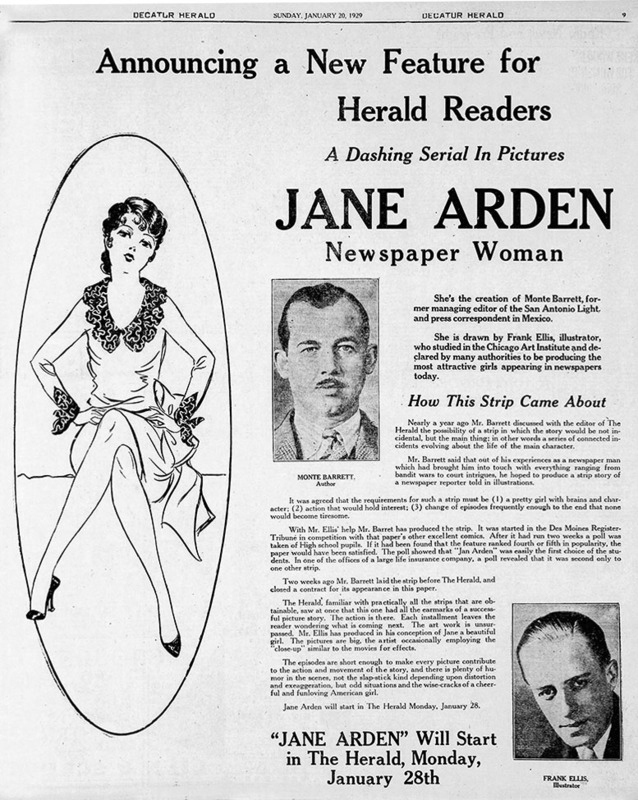 According to promotion advertisements, "Jane Arden is drawn by Frank Ellis, illustrator, who studied in the Chicago Art Institute and declared by many authorities to be producing the most attractive girls appearing in newspapers today." 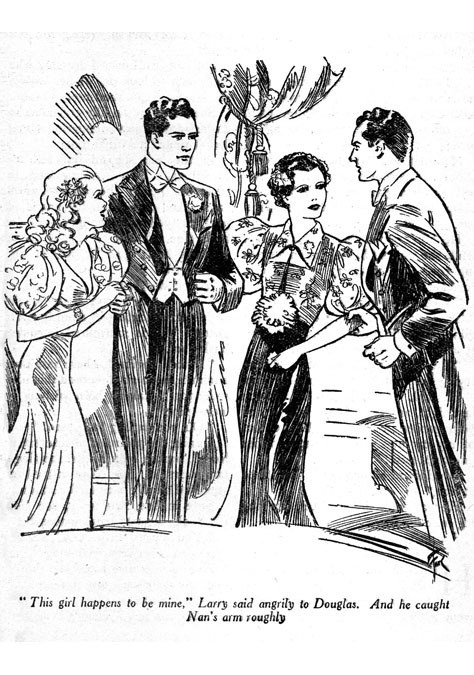 "Jane Arden" was popular and ran for over thirty years. She eventually had a radio show and a Hollywood movie produced by Warner Brothers. 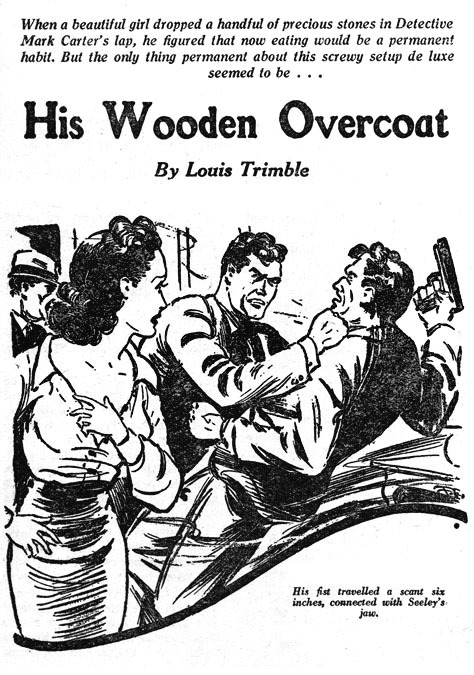 In 1930 Frank Ellis was listed as "Artist with Newspaper Syndicate." 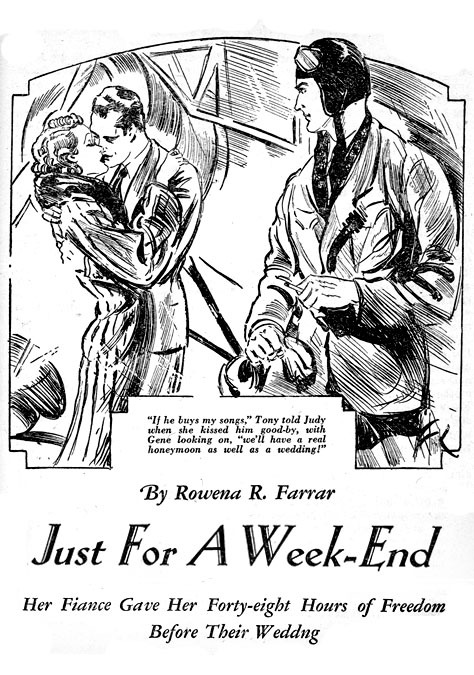 In 1933 he left "Jane Arden" comic strip and was replaced by Ross. 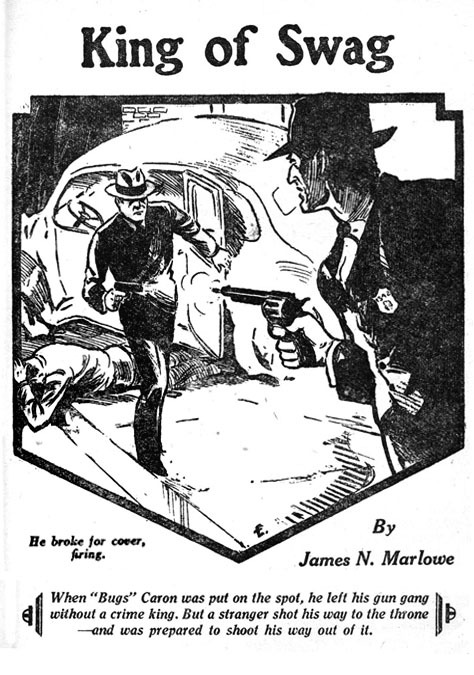 Frank Ellis began to illustrate pulp magazines produced by Munsey, a newspaper publisher who also produced many pulp magazines, which employed many of his newspaper artists as illustrators. 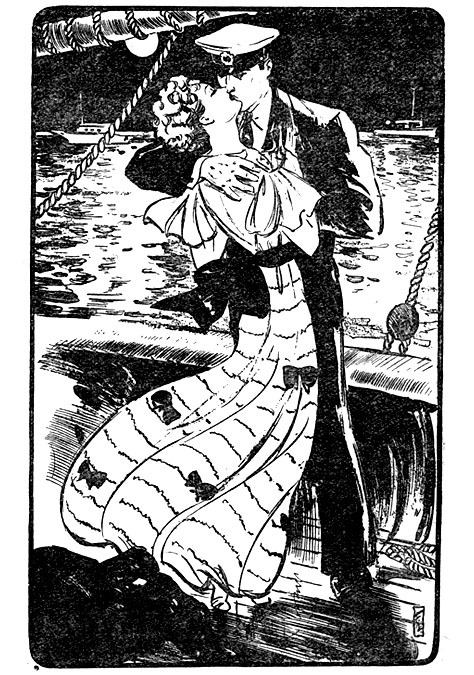 Frank Ellis drew story illustrations for All-Story Love, Love Fiction Monthly, Complete Love, Romantic Range, and Ten-Story Detective. On March 1, 1942 his father, Frank Reason Ellis, died at the age of sixty-six in Des Moines, IA. Two years later, on January 1, 1944, his mother, Helena "Lene" Maude Ellis, died at the age of sixty-seven in Des Moines, IA. 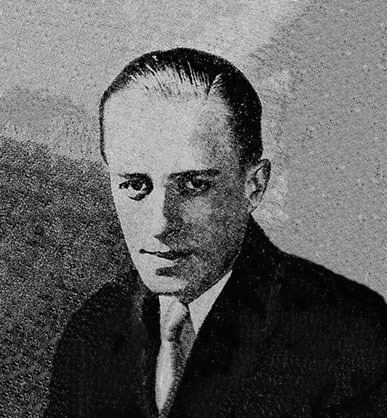 After the war Frank P. Ellis moved to Kansas City, Missouri, where he taught classes in Commercial Illustration at the Kansas City Art Institute. Frank Ellis died at the age of seventy-four in Kansas City, MO, on June 17, 1972.